The International Conference on Advancements in Engineering Education (iCAEED-2019) will be held on 24-28th November 2019, Sydney, Australia. It is jointly organised by the School of Computing, Engineering and Mathematics at Western Sydney University, Sydney, Australia and Global Circle for Scientific, Technological and Management Research (GCSTMR) as part of its 5th World Congress. GCSTMR endeavours to create a platform for young researchers to exchange ideas and share information with experts in their respective fields. GCSTMR encourages and facilitates trans-national collaborations among its members and associates in research, training and professional activities. Multidisciplinary international conference series run by GCSTMR open vast opportunities for researchers to interact on the global platform and take advantage of knowledge sharing in the digital arena. iCAEED-2019 is aiming to bring national and international experts in engineering education and research to Sydney and create opportunities of professional interaction to present and share their latest research and practice on engineering education. iCAEED-2019 will be hosted at Western Sydney University�s Parramatta South Campus which is situated beside the Parramatta River. Sydney with its population of 5.5 million is the largest city in Australia. The traditional landmarks of the Sydney Harbour; including the Sydney Opera House and Harbour Bridge are within easy reach of the conference venue as is the Blue Mountains World Heritage National Park. Professor Simon Barrie is the inaugural Pro Vice-Chancellor Learning Transformations at Western Sydney University. He is responsible for leadership of strategic educational innovation and transformation at the University, and as part of that work he leads the University's flagship 21C Project. This work delivers the University's commitment to ensuring its students fulfill their potential to become influential global citizen-scholars in a new technology-enabled world. 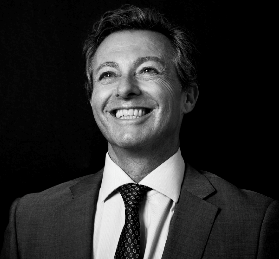 Simon's passions and expertise are in innovatively engaging university communities to deliver new ways to enact the 'idea of the university' in a rapidly changing world. His research is on the transformative potential of higher education and he is a multi-award-winning teacher. . .
A serial entrepreneur, Mr. Md. Sabur Khan, Chairman and Founder of Daffodil International University (DIU) and, Daffodil Education Network (DEN) has involved himself with lot of challenges while he was the President of Dhaka Chamber of Commerce and Industry (DCCI), and, the Bangladesh Computer Samity (BCS). Bangladesh government has awarded Mr. Md Sabur Khan, with the status of 'Commercially Important Person (CIP)' for his role. His commitment has attached him as Visiting Professor with a lot of foreign universities. He has been awarded honorary professorship and honorary Doctorate degree from abroad. World Business Angels Investment Forum ( WBAF ), the largest Angel investors forum designated him as the High-Commissioner of WBAF for Bangladesh. Mr. Md. Sabur Khan is the Chairman, Global Trade Committee and also Director of World IT & Services Alliances (WITSA). 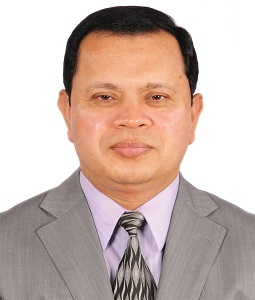 Dr Firoz Alam is a Professor and Program Director in the School of Aerospace, Mechanical and Manufacturing Engineering, RMIT University, Melbourne, Australia. He earned his PhD in road vehicle aerodynamics from RMIT University in 2000 and Master�s degree (combined with Bachelors) in Aeronautical Engineering from Riga Civil Aviation Engineers Institute, Latvia. Prof Alam has received numerous awards including 2004 RMIT University Teaching Award. His research interest includes aircraft, road vehicle, train, building and sports aerodynamics, energy and engineering education. He has over 250 publications. 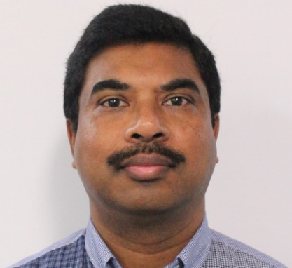 Prof Alam is a Fellow of Engineers Australia and active members of several other professional societies/associations. .
Prof Yang joined SCEM at WSU in January 2012 as Associate Professor of Mechanical Engineering and Smart Structures and he was promoted as Professor in 2018. Since 2015, he was appointed as the Lead Director of Academic Programs, Engineering and Industry Design, leading the SCEM Engineering and ID Academic Team and the curriculum review and renewal of Engineering and ID degree programs. In scientific publication, he has published more than 150 journal/conference papers and confidential reports for industrial partners in his main fields of research - Mechanical Engineering, Materials Engineering, Civil Engineering, etc., as well as in the research field of Engineering Education. . .